March Extreme Endeavors: How Are We Building Community? Were Saints the First Volunteers? I’ve been thinking about how Extreme Community Makeover helps build community and I think there are elements to both of these definitions present. We focus our efforts in geographical locations within Denver, but we also bring people together during Work Days to connect with others. A few stories that we’ve done in the past month really reflect these community values as well. Check out a recent Volunteer Spotlight with Marty here. And check out a recent video with a local business owner, Danica, here. Both of these stories provide a window into seeing how ECM is helping to build community and I hope you will continue to join us on this journey! Finding a Program Manager – We are looking for a program manager to help run this business. Do you know someone who has experience in the lawn care industry? Please share the job description, which can be found here. Participating in the Crowdfunding Campaign – We are planning to launch a crowdfunding campaign to raise funds for equipment and supplies next week. Stay tuned for more details. Becoming a Customer – We are looking for customers who would like to use this business to take care of your yard. Let us know you would be interested in being a potential customer by sharing your info here. Regularly scheduled ECM Work Days begin again next month! See the full schedule of dates on the calendar or see the list of dates below. New Work Days can also be added outside of this schedule. More details can be found in this doc. Once you’ve decided on a date(s), register as a group here. Or register as an individual here. 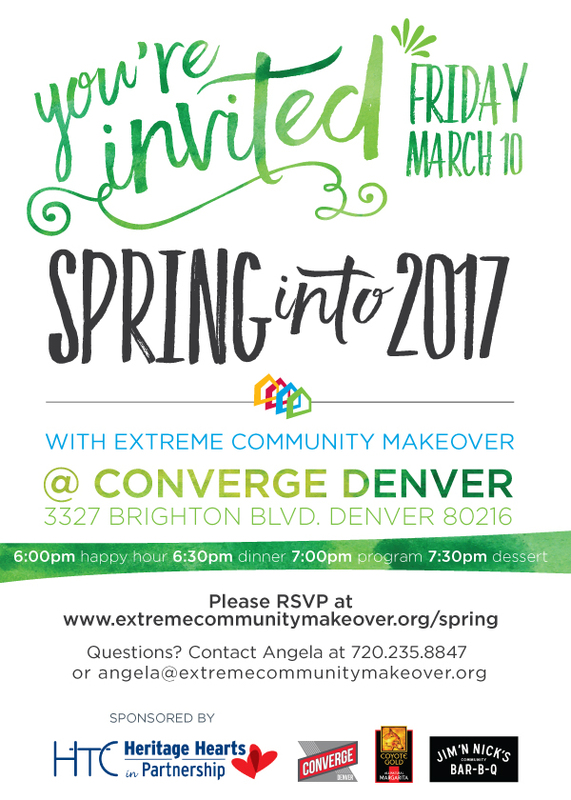 You still have time to RSVP for our Spring Kick-Off event tomorrow night, Friday, March 10 at 6:00 pm at Converge Denver! The evening will include happy hour, dinner, dessert, and a chance to hear more about what ECM is up to this year. 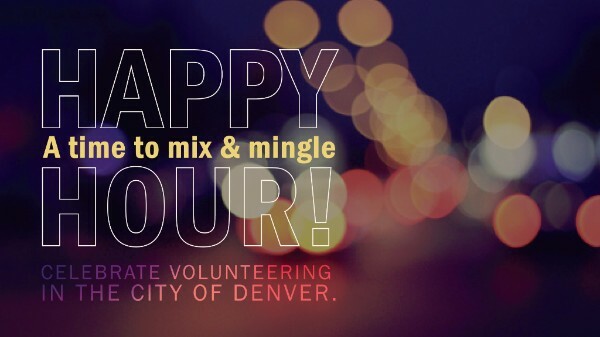 Our next Volunteer Happy Hour will be on Wednesday, March 15 from 5:30-7:00 pm at The Crafty Fox (3901 Fox Street, Denver, 80216). Learn more about how you can volunteer with Extreme Community Makeover this year! Join us for Go: Westwood on Saturday, April 22. We will be working on community clean-up projects in the Westwood neighborhood and are aiming for 400-500 volunteers. The added bonus for volunteering during this project is that you will also get a ticket to the Colorado Rockies game against the San Francisco Giants that evening!